Tower National Insurance Company was originally incorporated in 1983 under the name North American Lumber Insurance Company. They were acquired by the Tower Group in 2005 and renamed at that time. 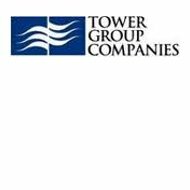 Tower National is now part of a group consisting of five subsidiaries that are licensed in 44 states and the District of Columbia. As a whole, the group offers several different types of property and casualty products to both businesses and individual consumers. Don’t delay in your search for online health insurance rates any longer – enter your ZIP code below and get started right now! As for Tower National, although they are licensed to sell insurance in 33 states and Washington DC, they currently limit their activities to New York, New Jersey, Pennsylvania, and Massachusetts. The company does have plans for future expansion as business conditions warrant. In New York State, due to complicated insurance regulations, the company operates as a subsidiary of Tower National under the name Tower Insurance Company of New York. Unfortunately, Tower National doesn’t offer health insurance of any kind. They don’t even offer supplemental policies as secondary vehicles to primary health care insurance. Instead, both consumers and businesses will be limited to automobile, homeowners, and property damage/loss coverage. On the other hand, their personal loss prevention policies are unique in that you don’t find many other mainline insurance companies offering this type of coverage. If you’re in need of health insurance you will have to look elsewhere. A good place to start is a website just like the one you’re reading now. Websites like this one, offer quote tools enabling you to simply enter your zip code to get started. From there, you’ll be asked a little more information, which will allow you to see quotes from major providers offering health insurance in your area. Therefore, even though Tower National doesn’t provide health insurance, you’re not out of luck. Tower National Insurance Company is one of the many insurance providers who utilize the agent model of selling and servicing policies. The company works with a network of agents distributed throughout the four states where they are currently active. By utilizing local agents, the company is better able to establish relationships that are more personal with customers and provide better coverage. Since local agents live and work in the same communities as their customers, they are aware of any local circumstances or conditions that might affect insurance. Tower National offers customers three different methods to initiate claims service. The first method is to visit their corporate website and submit a claim via e-mail message. Your e-mail will be forwarded to the appropriate individual within the corporate office who will then contact you for more information. If you prefer using the telephone, the second method of initiating claims service is to call the company using a toll-free number available from your policy documents or the company website. The third option is to contact your local agent. In offering of their claims service to customers, Tower International promises to always handle your claims efficiently, promptly, and fairly. This company prides itself on good customer service and claims processing. To date, our research shows that most customers of Tower National are generally satisfied in these areas. If you might be interested in a career as a corporate employee, Tower National is interested in hearing from you. By clicking on the careers link at the company website, you will be able to see a brief history, the company mission statement, and what they’re looking for in employees. From there you will be able to create an online profile for resume submission, as well as search their database of job openings. Agents who wish to sign on as Tower National representatives need only contact the company in New York City. You’ll be asked to fill out a short application and submit your agency for review. Upon approval, you will be given the necessary training, as well as complete access to all of the company’s online agent tools. Before you move on to another website, be sure to enter your zip code in the box to begin your search for health insurance rates online.